JOIN THE OTHER 2000+ SUCCESSFUL STUDENTS WHO HAVE ALREADY MASTERED PYTHON PROGRAMMING WITH ONE OF MY TOP RATED COURSES! This course will not waste your time, Are you tired of watching tutorials that take hours to explain simple concepts? You came to right place. All this course asks you is 2-3 hours of your life. This is the class I wish I had when I was trying to learn Python Programming. I have a unique way of teaching, as I know how it must be overwhelming to learn a very complex programming language. Best part of this course is No prior programming experience is required. This tutorial introduces the student informally to the basic concepts and features of the Python language and system. It helps to have a Python interpreter handy for hands-on experience, but I have also provided downloadable lecture notes so the tutorial can be read off-line as well. Python is one of the most powerful yet simple to learn programming languages in the world. What makes python stand out from other programming languages is its simplicity. Python is mainly used for Web Development, Game Development and Software projects. So if you want to make cool websites or a fun game or a ground breaking software’s. This is where you start - Basics of Python. I will walk you through everything you need to start writing fun programs. From Installing Pycharm in your PC/Mac to mastering all the key concepts of Python. All that and more in just 3 hours. You will learn by writing working programs. This course will solidify all the basic Python concepts. "Excellent Course. Worth every Dollar. I always wanted to learn python. Few months back I purchased Ajay's C++ course and I loved it. I was excited to see him release a course on python. The course doesn't deviate from topic like most courses on Python. This course didn't disappoint at all. I am only half way in the course, but I am still able to write small programs. Downloadable lecture notes makes the learning process a lot easier. If you are a beginner like me and want to write fun programs on Python fast, look no further and enroll this course"
"Perfect Course for Beginners at Wonderful Price. Well, I was little concerned about enrolling this course as it was just released, but I have to say it beats all the other C++ Courses in the market. The best part is that it’s just 2 hours, the content is straight forward and doesn't waste your time just as it’s said in the promo video. Worth every buck! Will recommend it to all the beginners." 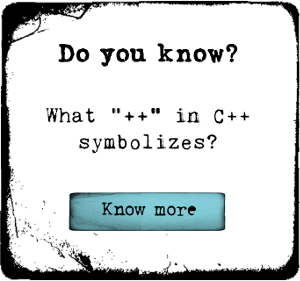 This course covers all the Basic concepts of C++ in easily understandable and interactive way. The instructor Ajay is also very helpful and replies readily to your queries and doubts. Overall I would strongly recommend this course to you if you are looking for basic knowledge of C++." I really enjoyed taking this course. I would definitely recommend this course to anyone with an interest in C++. It covers all the basics and good tips are given during the course. Ajay certainly knows the subject he teaches here. Looking forward to his next course." I'm brand new to Python, so this course was really just what I needed. I would like it to have been a bit longer, and go a bit deeper, but as a brand new Python coder, I really enjoyed it and learned the basics."